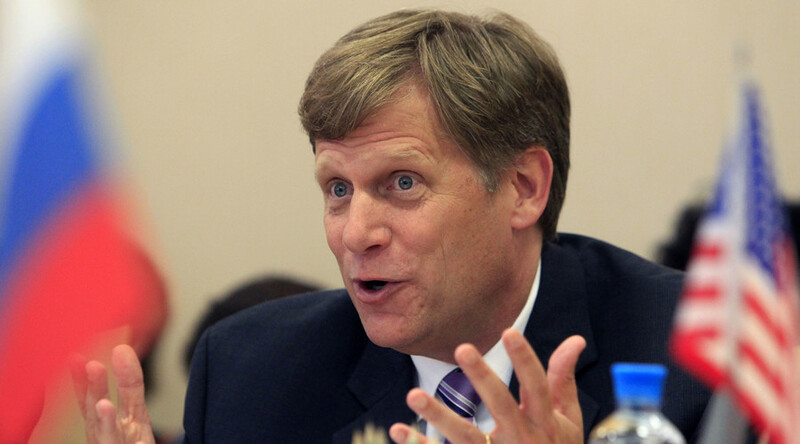 Michael McFaul, the former US ambassador to Russia, posted an intriguing tweet on Friday, generating some bemused and confused responses. Putin is winning in Syria. @McFaul what do you mean? @McFaul what metrics are you using? McFaul resigned from his diplomatic position in February of 2014, ostensibly to spend more time with his family in California. He is currently a professor of political science at Stanford University. @McFaul That's not bad with only 69 planes and a bunch of choppers. What has the USA-led coalition been doing all this time? Are you upset, Professor @McFaul? Who is loosing in Syria? @McFaul not a worry. your country can find itself useful someplace else. south china sea perhaps? McFaul’s odd tweet comes just after a plan to end hostilities in Syria was reached between Russian Foreign Minister Sergey Lavrov and US Secretary of State John Kerry at a meeting of the International Syria Support Group (ISSG) in Munich yesterday. Following the meeting, Lavrov said that Moscow is counting on the US and other ISSG countries to put pressure on the Syrian opposition to cooperate with the UN. Kerry acknowledged it remains to be seen if the agreements can stand the “real test” of getting the parties involved in the Syrian conflict to honor their commitments.